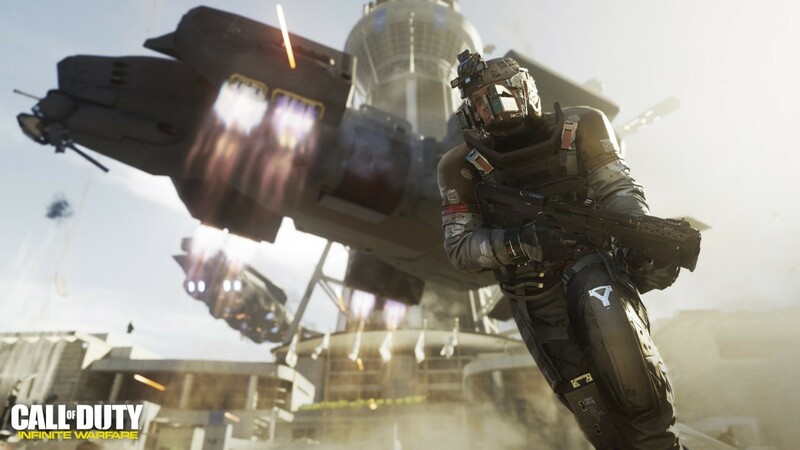 Infinity Ward, the award-winning studio that helped create the blockbuster Call of Duty® franchise, reaches new heights with Call of Duty: Infinite Warfare. 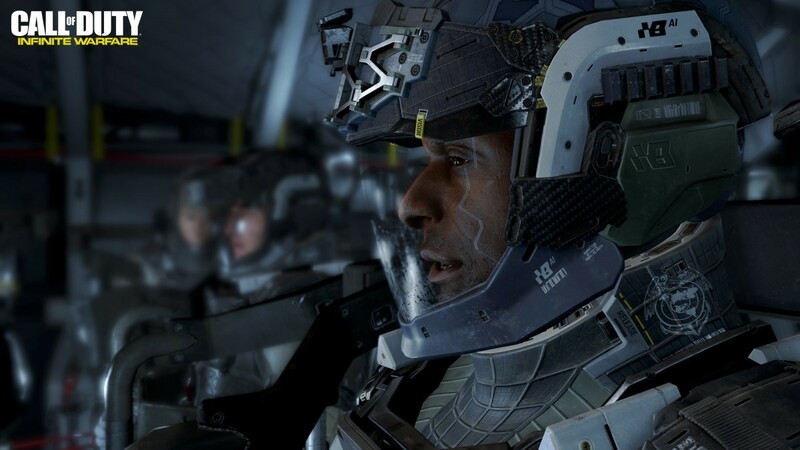 At its core, Infinite Warfare returns to the roots of the franchise where cinematic, immersive storytelling takes center stage as told through an unfolding large-scale war and epic battles that deliver an authentic Call of Duty experience. 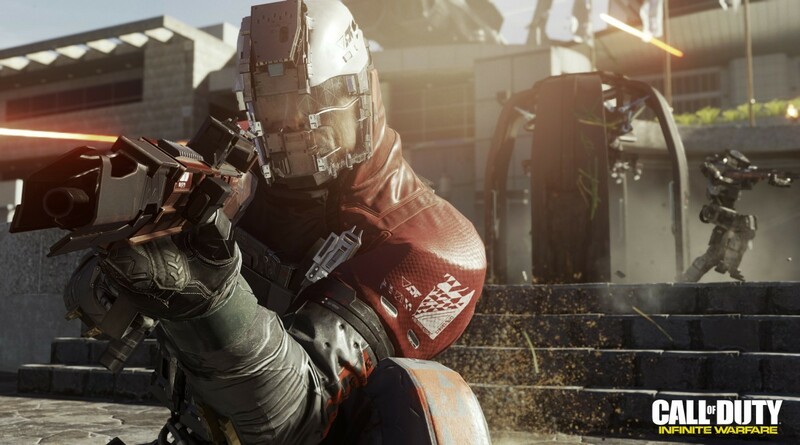 Call of Duty: Infinite Warfare delivers something for every Call of Duty fan with three unique game modes: Campaign, Multiplayer, and Zombies. Delivering a rich and engaging narrative in a setting unlike anything to date in a Call of Duty game, the campaign is a return to the franchise’s gritty, military roots throughout new environments never before seen in the franchise. The player will embark on a classic war story about grand scale naval warfare; all set in a grounded future where human conflict has spread throughout our solar system. 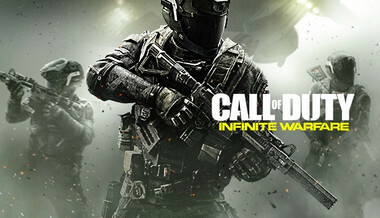 Multiplayer action combines Call of Duty’s popular chained-based movement system with ground-breaking gameplay innovations to deliver the deepest and most engaging Call of Duty experience to date. The title introduces stunning, never before seen, multi-planetary environments, new weaponry, and all-new player abilities to Call of Duty. In addition, the new Zombies experience will thrill co-op players with an original, direction featuring fun and unique gameplay, all wrapped into an uproarious narrative sure to excite fans.Call of Duty: Infinite Warfare will take players on an unforgettable journey as they engage in heroic battles from Earth to beyond our atmosphere against a relentless, enemy faction that threatens our very way of life. 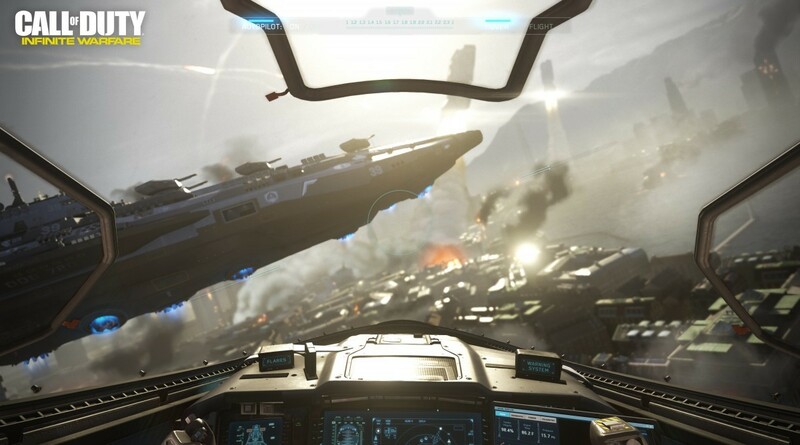 It’s grand scale war and hallmark boots-on-the-ground Call of Duty action with memorable characters, rich emotional arcs, and stunning new environments, all within an epic new setting.Call of Duty: Infinite Warfare puts storytelling front and center, in a deeply engaging narrative. It features jaw-dropping set-pieces and blockbuster cinematic moments, while also delivering a gripping portrayal of war that harkens back to the roots of the franchise. 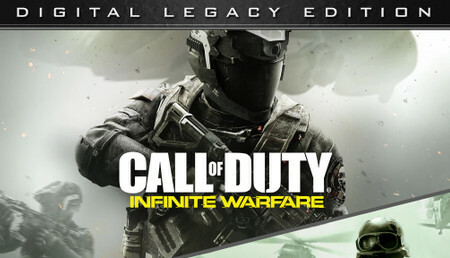 Infinity Ward also breaks new ground by thrusting the player into wartime leadership as Captain Reyes, a Tier 1 Special Operations pilot, who takes the helm of the Retribution, one of Earth’s last remaining warships. In a time of unthinkable hardships, Reyes must lead the remnants of coalition forces against a relentless foe in a war that spans our solar system.The Settlement Defense Front (SetDef) represents a splinter group of insurgents that broke away from the United Nations Space Alliance during a war of secession, years ago. In the world of Call of Duty: Infinite Warfare, our planet has been stripped of its natural assets through population growth and industrial expansion. The people of Earth now rely upon colonies throughout the solar system to mine planets and asteroids for necessary fuel and other resources. The SetDef is a fascist power, comprised of brutal and militant radicals, toughened by the extreme conditions of offworld environments. They seek to control those outposts and their wealth, putting a stranglehold on the countries of Earth. After years of uneasy stalemate, diplomatic relations are strained, and it will take only the slightest nudge to lead to full-scale war.Call of Duty: Infinite Warfare will incorporate the popular chained-based movement system players know and love into an innovative multiplayer experience that rewards players more than ever before for utilizing their surroundings and applying strategy in the heat of the moment. 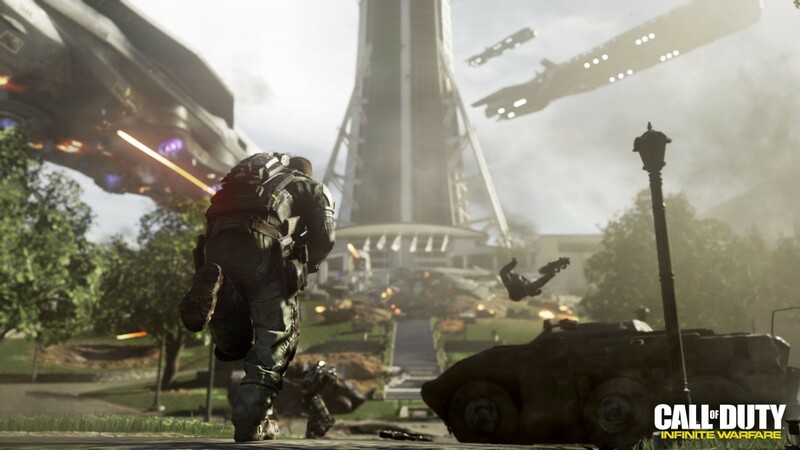 Maps are designed to further leverage the chained-based movement system and immerse players into fast, fun, and frenetic gameplay that players have come to expect from Call of Duty. With its new approach to play, multiplayer will bring innovative gameplay that challenges players to achieve their goals in creative ways based on their specific play style.Infinity Ward introduces a fresh take on the nightmarish Zombies mode in Call of Duty: Infinite Warfare. With an all-new, immersive Zombies storyline for players to uncover and explore, players are thrust into a spine tingling adventure not for the faint of heart. 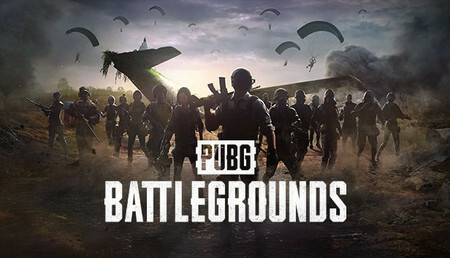 Zombies will take players on a wild ride with a multitude of new features, while thrilling players with the core mechanics that fans have come to expect from the mode. Call of Duty: Infinite Warfare raises the bar yet again, delivering three stellar experiences in one exceptional package. 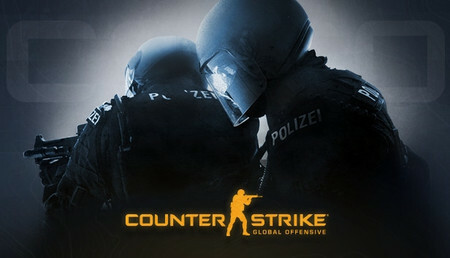 Code arrived immediately and I successfully actied it on Steam. Excellent game and instant delivery! Fast delivery. No problems here. Again, as always: Perfect service, super fast delivery! Don't buy it please. Just save your money. I knew it would be bad, but no this bad. Don't get me wrong, the campaign was worth it. But still not worth 50 euros. Both the multiplayer and unfortunately even zombies is a complete joke. Please, save your money, buy milk instead. It's less of a disappointment than this I 100% guarantee it. Remember Harambe died for our sins, now that he's looking over us, use his guidance to resist buying this game for MW Remastered. Everybody hates this game because of its multiplayer being too futuristic. I think that people dont like it because its something new, and new things scare people off or trtigger them (dk why). For me the game is just another look ad BO3 and I like it. The controls are really fluid and the gameplay is really nice, however, the story is really short and the plot was not as great as call of duty modern warfare series, but overall it is fun to play. Multiplayer is alright, but is not as good as Black ops 3. It is very cheap currently so it is worth the price. 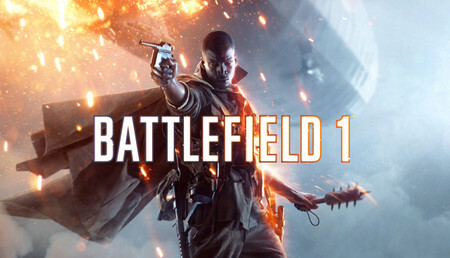 The multiplayer is basically dead and not that good, but the campaign and zombies are actually quite good. 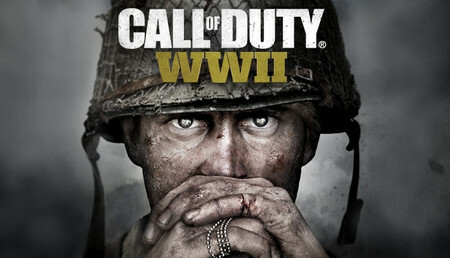 If you are a fan of Call of Duty and don't necessarily need multiplayer i'd say go for it. I enjoyed the campaign and playing against bots in mp is not bad. Still love to play COD even its going on a different way. Happy to have this on my collection to as i have played a fev times during the free weekends , and now it was time for me simply to catch this one too. Mel jsem trochu strach po předchozích dílech, ale musím uznat že to má dobrou hratelnost. Po dlouhé době se jim to docela povedlo a vypadá to že to dohraji do konce. A když to přestane bavit tak se můžete vyřádit se Zombies . After a lot of gaming in Infinity Warfare, is the game still bad. There is too much lagg. The new maps are already a month on PS4 but still not on PC..
Hope WWII is getting a lot better are the serie COD is dying. If you like it that old version. Just buy it.. Just buy it.. Just buy it.. Just buy it.. Just buy it.. Just buy it.. Just buy it.. Just buy it..Just buy it..Just buy it.. The usual CoD. If you´ve liked the previous installments, you´ll like this one as well. I feel the previous one was better though: plot was more cohesive and it had Kevin Spacey. Plot with this one is silly as hell. Complete waste of Kit Harrington. Very good game, don't know why people talk only s*** about it. MP match finds in ~ 1min. Really good games, just bugs me that they keep making supply drops a part of cod. But still really good games, just the multiplayer of mwr is really poorly optimized. Awsome Graphics, everything except mwr multiplayer runs on smooth 80fps and looks great. I personally really dislike the future setting but i still bought it because i had faith in it and, it was worth it! Das Spiel ist an sich sehr gut nur das die Server beim CoD Remastered sehr laggen! Terrible, just terrible. This is without a doubt the single worst caal of duty in it's history. And it also contains micro transactions making it pay to win. If you're looking for a good and fun shooter, steer very clear of this one. Also the playerbase is split between the people who bought on steam and those with a physical copy or windows store copy. The modeern warfare remastered isn't worth it either as twice as mlany people are playing the original. Also no anti cheat or dedicated servers. I can't even play it since release date, game is freezing when choosing campaign, multiplayer or zombie.My specs meets the requirments and i have tryed everything from uninstalling to clean boot pc nothing works is that where i pay for ?? The game is good overall (way better than Advanced Warfare and Ghost combined). Ich wollte mir eigentlich Advanced Warfare kaufen trotzedem hat mir das spiel sehr viel spaß gemacht und kann es nur empfehlen zu dem war der Kauf wie immer Schnell und sicher. Ich Freue mich das nächste mal wieder ein spiel zu Kaufen. Nel complesso il gioco offre una bella storia e un'ottima grafica al passo coi tempi. Il gioco di per sé è discreto, la parte con i combattimenti a bordo dell'astronave potevano risparmiarsela. Meglio se non acquistato a prezzo intero. je mets une note de 50 parce que je l'ai pris juste pour le zombie le reste ne m'intéresse pas vraiment et puis pour 4,53 euros c'est vraiment donné a ce prix la donc autant ce faire ce petit plaisir. le mode solo est bien mais par contre le multi on réseaux il y a que le death match par équipe ou il y a du monde sinon sur les autre mode de jeux il y a personne c'est dommage , j'aurais bien fait un capture de flag . Si vous prenez le jeux pour le multi bha je vous le conseil pas il y a pas beaucoup de monde . Je ne vais vous parlez que de MWR. Par ce que infinite warfare est probablement le pire CoD de tout le temps, c'est vite vue on dirait CoD ghost avec des jet-pack ! Bref pour en revenir a MWR, ça vaux limite le prix de l'acheté même maintenant ! Le mode multi reste bien avec des bots ! l'intelligence artificielle est excellente sur MWR ! il suffis d'ajouter un mode pour gagner de niveau en partie privé et vous pourrez y jouer comme si vous étiez en multi. très bonne intelligence artificielle en multi, et remasterisation très réussis. infinite warfare est dans le prix. Nonostante non sia un fan di CoD sono rimasto un po' dispiaciuto per la valanga di recensioni negative arrivate a questo titolo, la campagna futuristica è davvero molto piacevole e ormai il livello grafico è più che decente, tuttavia il motore di gioco (troppo datato) si è appesantito davvero troppo con gli anni, il gioco è arrivato a pesare un centinaio di GB e sembra che stia per cedere da un momento all'altro. Per quanto riguarda il multiplayer non posso esprimermi perché la comunity su PC è pressoché inesistente e non si riesce a giocare. Molto mediocre ma non del tutto insufficiente. Su Call Of Duty 4 non mi soffermo, aggiornamento grafico a parte il gioco resta bene o male lo stesso, e chi ci ha giocato in passato sa che non ha bisogno di recensioni. Mi soffermo invece su Call Of Duty Infinite Warfare, beh che dire, il multy non l'ho giocato perchè francamente non me ne frega niente, ma sono rimasto piacevolmente sorpreso dalla campagna di questo gioco. Davvero moooolto bella, ben curata, con ottime idee eottimo carisma dei personaggi. Se come me comprate ancora i giochi principalmente per il singleplayer, ve lo consiglio vivamente. Para mi parecer es el juego de la saga modern warfare mas completo en cuanto equilibrio entre jugabilidad y perks, de tener sarvidores dedicados privados, devolveria a la vida este shoter y el interes, en cuanto a competicion es de lo mejor. Advierto: Mi PRIMER Call of Duty. y digo esto porque no me siento influido por estar " aburrido" con esta saga(que me consta que esta super explotada) Creo que es el primer FPS que juego que recuerde del estilo este. Me llamó la atención al no ser un juego de guerra inspirado en ninguna guerra real. Al ser"contra marcianos" pues lo probé. No es tuvo mal jugar la história Pero la verdad es que una vez me lo acabé no he tenido ganas de rejugarlo. está en castellano si quieres. Estilo muy de Hollywood espectacular y vistoso. Supongo que si es mi primer juego y aún y así no tengo ganas de más será que no pasa del aprovado" justo"
Zu IW sag ich mal nichts, aber MWR finde ich grafisch sehr Anschprechend, ich habe auch noch cod4 und das hat mir auch genau so viel spaß gemacht wie MWR, es ist nicht futuristisch wie Bo3 sieht aber super aus! ich würde es jedem COD Fan weiterempfehlen. Do 100 Per il prezzo a 5£ anche se la community di questo gioco non e piu' attiva ormai, sappiamo tutti che i call of duty non sono piu' come un tempo anche se il BO III e' qualcosa di devastante. Premessa La valutazione del gioco la faccio perchè ci ho giocato molto tempo fa' pero' posso dirvi che a questo prezzo non fatevelo scappare. siempre efectuó mis compras aquí. ha este precio insuperable la edition legacy para europa. sorprendente la Remasterización de lo que a mi juicio es el mejor de la saga. Je conseil ce jeu pour ceux qui cherche un bon cod pour pas cher et avec un bon zombie et une bonne campagne ! De plus, le jeu est magnifique et ne lag pas pour les config bad game. Bel gioco ma poco giocato in modalità multiplayer, pollice in su anche per instant gaming che è stato velocissimo a consegnarmi il codice per poter attivare il gioco, farò sicuramente dei nuoviacquisti. comment dire que ce jeu est une belle arnaque!!! il fait 77 go a télécharger est je peut même pas jouer il se coupe quand je lance une partie que sa soit en zombie ou en multijoueurs ou en campagne je peut même pas jouer . Alles in allem ein sehr gutes Spiel, auch wenn es in meinen Augen zu unrecht totgehated wurde. Die Kampagne ist eher Mau, der Multiplayer ist dafür allerdings top. Das Waffensystem mit statsverändernden Waffenvarianten ist erstaunlich gut gelungen und bringt etwas Abwechslung ins Game. Die Waffen sind alle gut gebalaced mit einziger Ausnahme von 2-3 Shotguns, was in CoD aber inzwischen Standard ist. Este juego va pelado, los requisitos mínimos no se corresponden en nada a lo que este pide. El infinit warfare pues, aún peor, la historia, fatal, horrible, parece que estás viendo una película de star wars pero con menos rayitos, esto hablando del singleplayer, porque en multiplayer, o juegas con bots o no juegas directamente. Les gens critiquent bcp ce jeux parce qu'ils ont connus les précédents opus, c'est mon premier CoD ce qui me permet d'être objectif. Je peut donc vous dire que ce jeu est excellent, les map sont belles, les armes sont vraiment bien et il n'y a quasiment pas de camper ce qui je pense est une excellente nouvelle pour tout le monde. Parfait, j'ai reçu la clé tres rapidement et j'ai pu joué tout de suite après l'avoir téléchargé. 9 ème commande et toujours aussi satisfait je n'ai jamais rencontré de problèmes. Aucune hésitation à avoir fâce à un tel prix ! Les cinématiques rames ... Les graphismes sont jolies mais j'ai pas joué plus de 30 min vus que les cinématiques rames et c'est assez frustant. Je pense avoir un bon PC et d'autre jeux plus gourmands en ressource ne me pose aucun soucis. No thanks, close this popup.